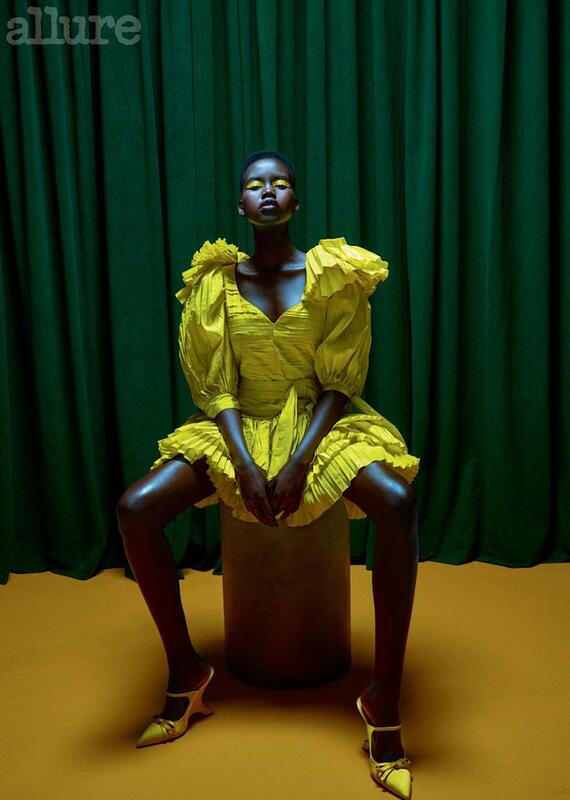 <p class="canvas-atom canvas-text Mb(1.0em) Mb(0)–sm Mt(0.8em)–sm" type="text" content="Adut Akech&nbsp;is living her best supermodel life.” data-reactid=”31″>Adut Akech is living her best supermodel life. <p class="canvas-atom canvas-text Mb(1.0em) Mb(0)–sm Mt(0.8em)–sm" type="text" content="The South Sudan-born beauty signed with a modeling agency at the tender age of 15. Akech turned heads when she walked the&nbsp;Saint Laurent Spring/Summer 2017 show&nbsp;in Paris, and later went on to sign a three-season exclusive deal with the fashion house. She’s since graced the catwalks of Versace, Prada and&nbsp;Chanel&nbsp;and showed off her stunning features on multiple Vogue covers.” data-reactid=”32″>The South Sudan-born beauty signed with a modeling agency at the tender age of 15. Akech turned heads when she walked the Saint Laurent Spring/Summer 2017 show in Paris, and later went on to sign a three-season exclusive deal with the fashion house. She’s since graced the catwalks of Versace, Prada and Chanel and showed off her stunning features on multiple Vogue covers. <p class="canvas-atom canvas-text Mb(1.0em) Mb(0)–sm Mt(0.8em)–sm" type="text" content="Even though the 19-year-old has claimed such notoriety, including&nbsp;Model of the Year&nbsp;title, she knows that the beauty industry still has a lot of work to do when it comes to addressing the needs of black girls and women like herself.” data-reactid=”33″>Even though the 19-year-old has claimed such notoriety, including Model of the Year title, she knows that the beauty industry still has a lot of work to do when it comes to addressing the needs of black girls and women like herself. <p class="canvas-atom canvas-text Mb(1.0em) Mb(0)–sm Mt(0.8em)–sm" type="text" content="In her cover story for&nbsp;Allure’s May 2019 issue, Akech gets candid with writer Baze Mpinja about what it’s really like to be a dark-skinned model. 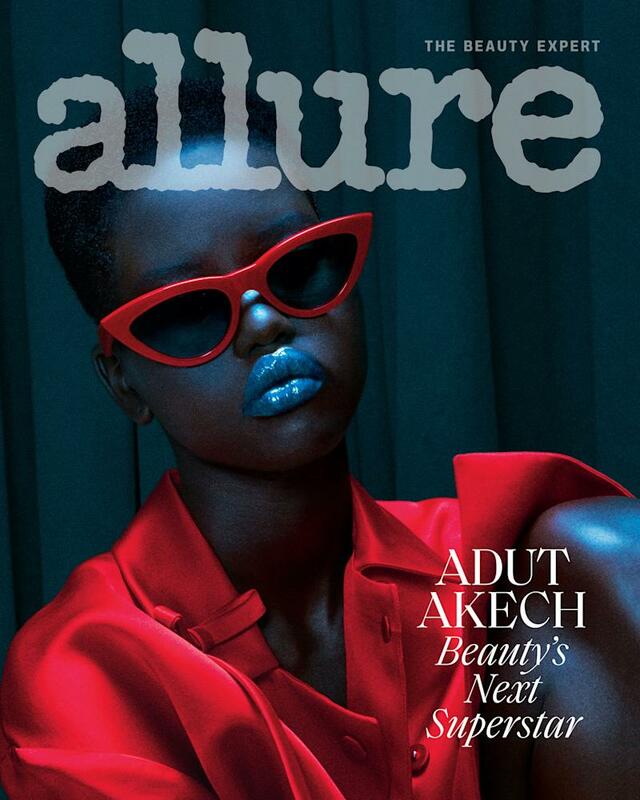 From being compared to fellow South Sudanese supermodel&nbsp;Alek Wek&nbsp;to having her&nbsp;Afro&nbsp;styled by artists who are not trained in textured hair, Akech isn’t sitting in silence about the challenges she faces on the job.” data-reactid=”34″>In her cover story for Allure’s May 2019 issue, Akech gets candid with writer Baze Mpinja about what it’s really like to be a dark-skinned model. From being compared to fellow South Sudanese supermodel Alek Wek to having her Afro styled by artists who are not trained in textured hair, Akech isn’t sitting in silence about the challenges she faces on the job. Another beauty struggle for Akech: the hassle of bringing her own foundation on set. <p class="canvas-atom canvas-text Mb(1.0em) Mb(0)–sm Mt(0.8em)–sm" type="text" content="Even though the&nbsp;Fenty Beauty effect&nbsp;has motivated more cosmetic brands to expand their makeup shades to include darker hues beyond taupe and chestnut, access to inclusive foundations isn’t widespread.” data-reactid=”37″>Even though the Fenty Beauty effect has motivated more cosmetic brands to expand their makeup shades to include darker hues beyond taupe and chestnut, access to inclusive foundations isn’t widespread. 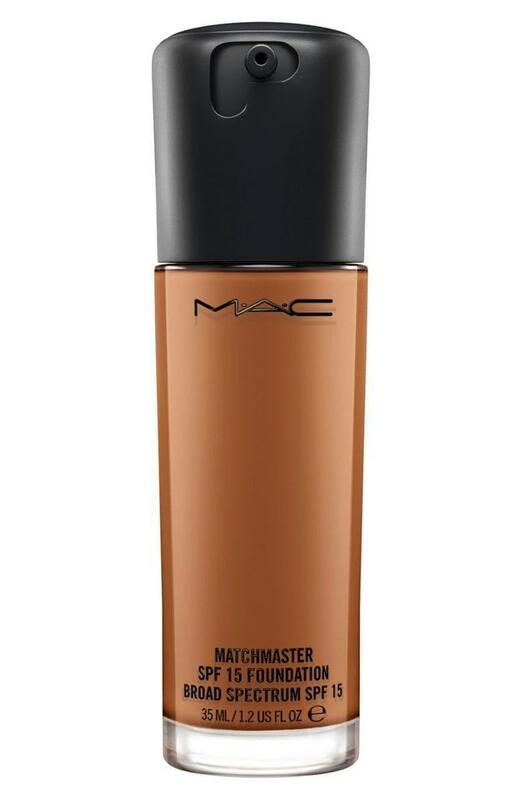 “I’m a really dark-skinned girl, and it was hard to find something in Australia; the only brand I could use was M.A.C. In America, I can find my shade,” says Akech. <p class="canvas-atom canvas-text Mb(1.0em) Mb(0)–sm Mt(0.8em)–sm" type="text" content="When listing the foundation brands she swears by, the young model tells Allure L’Oréal Paris True Match, Maybelline New York Fit Me and Dior Backstage are her go-to’s.” data-reactid=”39″>When listing the foundation brands she swears by, the young model tells Allure L’Oréal Paris True Match, Maybelline New York Fit Me and Dior Backstage are her go-to’s. <p class="canvas-atom canvas-text Mb(1.0em) Mb(0)–sm Mt(0.8em)–sm" type="text" content="Shop Akech’s foundation brand picks below! Then head over to&nbsp;allure.com&nbsp;to learn more about her beauty regimen, and pick up a copy of Allure‘s May issue on newsstands.” data-reactid=”60″>Shop Akech’s foundation brand picks below! Then head over to allure.com to learn more about her beauty regimen, and pick up a copy of Allure‘s May issue on newsstands. <p class="canvas-atom canvas-text Mb(1.0em) Mb(0)–sm Mt(0.8em)–sm" type="text" content="The editors at Yahoo Lifestyle are committed to finding you the best products at the best prices. At times, we may receive a share from purchases made via links on this page.” data-reactid=”61″>The editors at Yahoo Lifestyle are committed to finding you the best products at the best prices. At times, we may receive a share from purchases made via links on this page.